Are the Democrats Bent on Suicide? After reading an especially radical platform agreed upon by the British Labor Party, one Tory wag described it as "the longest suicide note in history." The phrase comes to mind on reading of the resolution calling for a Green New Deal, advanced by Alexandria Ocasio-Cortez, and endorsed by at least five of the major Democratic candidates for president. The Green New Deal is designed to recall the halcyon days of the 1930s, when, so the story goes, FDR came to Washington to enact the historic reforms that rescued America from the Great Depression. Only that story is more than a small myth. The unemployment rate when FDR took the oath in 1933 was 25 percent. It never fell below 14 percent through the 1930s. In June 1938, despite huge Democratic majorities in Congress, FDR was presiding over a nation where unemployment was back up to 19 percent. World War II and the conscription of 16 million young men gave us "full employment." And the war's end and demobilization saw the return of real prosperity in 1946, after FDR was dead. Yet this Green New Deal is nothing if not ambitious. To cope with climate change, the GND calls for a 10-year plan to meet "100 percent of the power demand of the United States through clean, renewable, and zero-emission energy sources." This appears to require a phase-out by 2030 of all carbon-emitting power plants fueled by coal and oil and their replacement by power plants fueled by wind and solar. Will natural gas be permitted? Will nuclear power? There are 60 commercially operating nuclear power plants with 98 nuclear reactors in 30 states. Will they be shut down? Will the Greens agree to dam up more U.S. rivers to produce renewable hydroelectric power? Air travel consumes huge quantities of carbon-producing jet fuel. What will replace it? Perhaps progressive Democratic candidates will set an example by not flying, and then by voting to end production of private aircraft and to ground all corporate jets. Let the elites sail to Davos. The GND calls for an overhaul of the "transportation systems in the United States to eliminate pollution and greenhouse gas emissions from the transport sector ... through ... clean, affordable and accessible public transportation; and high-speed rail." Gas-powered cars are out. How long will that train trip from DC to LA take? And if China continues its relentless rise in carbon emissions until 2030, as permitted by the Paris climate accord, while the U.S. spends itself into bankruptcy going green, where would that leave America and China at midcentury? "By the end of the Green New Deal resolution (and accompanying fact sheet) I was laughing so hard I nearly cried," tweeted the Wall Street Journal's Kimberley Strassel: "If a bunch of GOPers plotted to forge a fake Democratic bill showing how bonkers the party is, they could not have done a better job. It is beautiful." The Green New Deal, say its authors, has as a goal "stopping current, preventing future, and repairing historic oppression of indigenous peoples, communities of color, migrant communities, deindustrialized communities, depopulated rural communities, the poor, low-income workers, the elderly, the unhoused, peoples with disabilities, and youth." Fifty years after the Great Society, apparently half the country consists of victims of oppression. Who are their oppressors? Guess. Among the endorsers of this Green New Deal is Sen. Cory Booker, who compares the battle to stop climate change to fighting the Nazis in World War II. Sens. Kirsten Gillibrand, Kamala Harris and Elizabeth Warren have all endorsed it. Sen. Bernie Sanders, who calls climate change "an existential threat," was an original co-sponsor. Nancy Pelosi has more sense. Interviewed last week, the speaker batted the Green New Deal aside: "It will be one of several or maybe many suggestions that we receive. The green dream, or whatever they call it, nobody knows what it is, but they're for it, right?" With her own agenda and priorities, Pelosi does not want to be dragged into having to defend a document that reads like it was written by the college socialists club. The question, though, is why Democrats, who, if nominated, are likely to face Donald Trump in 2020, are signing on to so radical a scheme. In a presidential election, the "out" party candidate usually has an advantage. No record to defend. He or she can choose the terrain on which to attack the incumbent, who has a four-year record. Rarely does an out party present a fixed and stationary target as exposed as this, as out-of the-mainstream as this, as vulnerable as this. 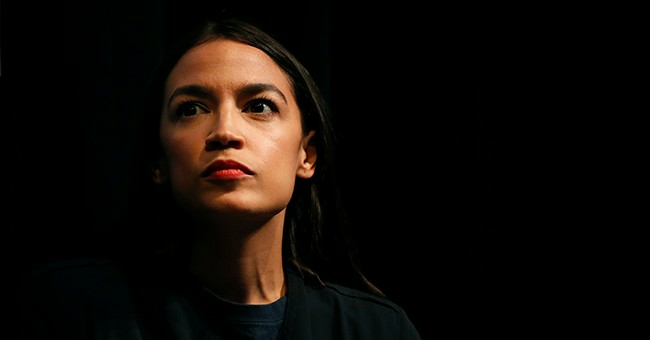 The only explanation for the endorsement of the Green New Deal by candidates with a prospect of winning the Democratic nomination is that they are so fearful of Ocasio-Cortez and the left for whom she speaks that they must endorse her plan. That British Tory got it right. This thing reads like a Democratic Party suicide pact.